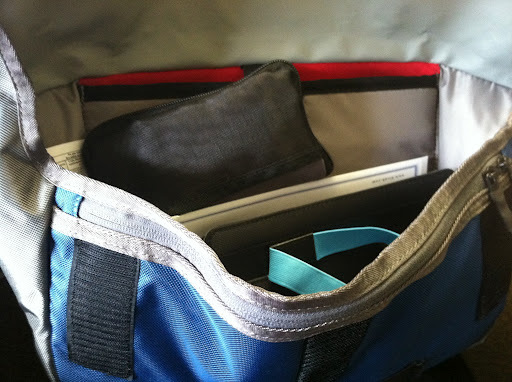 Two weeks ago, I post my Wordless Wednesday, with pictures of my attempt at finding a newer, awesome, svelte looking bag to hide my d-supplies in when I travel. More so for things like days at theme parks, conferences, and basic travel. Basically for my trip to FFL in a few days. (I was gonna go all psycho crazy with exclamation points and joy, but I think those of you who know, know how excited I am. For those of you who didn’t know already, sorry you missed that memo, and now you do.) 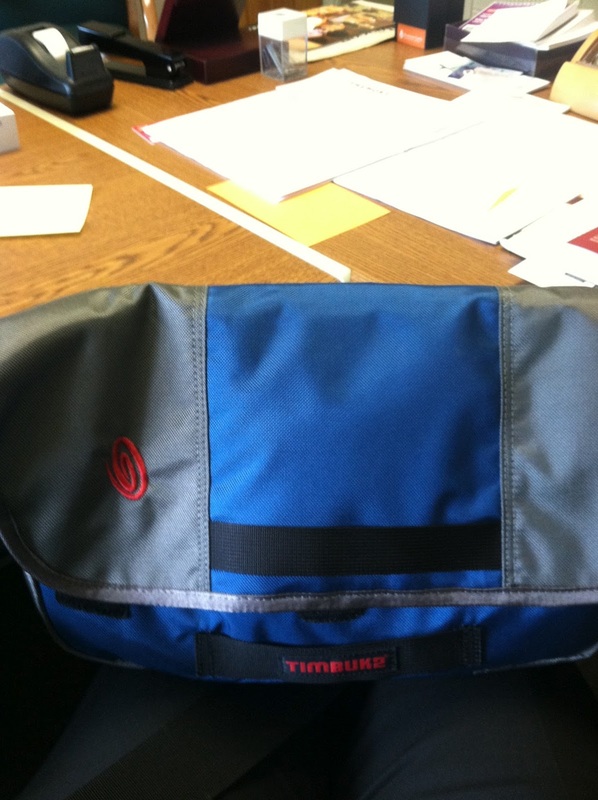 Anyway, yeah so I bought this pretty awesome Timbuk2 bag and have been demoing it the past two weeks. You gotta test drive things before you put them to the test right?? This little guy has gone through the ringer more or less. I am very picky about my murse. I mean if I am dragging this thing around with me all the time, I am going to make sure it is PERFECT! Is this bag perfect? No. Nothing will be unless I master the skills of nylon bag making, stitching, and well cutting straight lines. – Shoulder slings close to body. (This is a con also). – There is a strap included (not pictured) that can be used to make the bag snugger (more snug) by going around the waist as well, not needed though. – Zipper pockets on the inside. – If you have your cgm on the right love handle at least for me the bag strap can rub it. – Velcro. My normal Timbuk2 bag has a huge buckle closure. This is a Velcro only bag. Mind you this is not a big con. I mean if I am low and shaky and I need to access my emergency supplies it is “easier” to open. I would have preferred a clip is all. I do worry in the long run the Velcro may lose its ability to be stuck closed. The Velcro is a strong bond, so I don’t think it will be doing that anytime soon and I am not worried that the bag will let something out of it. I honestly don’t have any major complaints. The bag will keep me from overloading my bag, which I have been known to do. It can and will hold my iPad easily. My soda can or two easily. My test kit easily. Along with assorted other things. I am really happy to be using this bag next week. I mean I wish the should pad was a little more comfy, but I mean that is only because of the fact if I were to be wearing it ALL day, it might begin to wear on me… Get it? Wear on me??? Seriously you guys need to have a better appreciate for my corny jokes or next week will be a LONG week. On a scale of 1 – 10 I give the bag an 8.7 or for those of us in the states I guess that would be a 156, which is a slightly high number. Oh goodness I need help. These puns just aren’t fun. Well they are for me, you, well I am sure some of you may have smacked your head on a wall/desk/hand by now. I am saving my “better” jokes for next week, I think.